Get Smart is a 2008 American adventure and action comedy film which was directed by Peter Segal, written by Tom J. Astle and Matt Ember and produced by Leonard B. Stern, who is also the original series’ producer. The film is based on Mel Brooks and Buck Henry’s 1960s spy parody television series of the same name. The film stars Steve Carell, Anne Hathaway, Dwayne Johnson and Alan Arkin, and co-stars Terence Stamp, Terry Crews, David Koechner and James Caan. Bernie Kopell, who played Siegfried in the original series, also appeared in the film. The film centers on an analyst named Maxwell “Max” Smart (Carell) who dreams of becoming a real field agent and a better spy. The film was theatrically released on June 20, 2008 by Warner Bros. Pictures. For a ‘comedy’ it’s not that funny. Carell’s playing it as a straight man just doesn’t work. The best part-laughs are the pratfalls and visual humour. Towards the end there is some decent action and stunts. Very Average (3/5). A 2009 British-American war parody comedy film directed by Grant Heslov. It is a fictionalized version of Jon Ronson’s 2004 book of an investigation into attempts by the U.S. military to employ psychic powers as a weapon. The film stars George Clooney, Ewan McGregor, Jeff Bridges and Kevin Spacey, and was produced by Clooney’s and Heslov’s production company Smokehouse Pictures. Based on the book by Jon Ronson. Very strange film about a duo (Clooney & McGregor) who go on an Iraq war road trip. During the trip McGregor narrates, telling the story of the US army’s attempts to use psychic powers in warfare since the 1960’s. Very strange and a commentary on the weird things done in the military. As a result of these classes I have moved from being un-informed and ignorant to informed and stupid. So here it is…..
For my records and your reading, a quick review of the films viewed and, as is the convention, a rating for each. Before seeing this film, I always regarded the documentary style as being more suited to TV. However this film prompted me to see “The Fog of War”. This film only succeeds due to Alan Berliner’s mix of cinematic styles, all gel to form a compelling narrative of his cranky father. An enjoyable movie with a old man in a starring role you are not likely to forget quickly. This was a surprise for me. I didn’t believe that any film from 1929 could be so inventive and “modern”. Even now it has relevance in a western post-industrial society. It just shows how little most of our lives have changed. It’s just a great kaleidoscope of shapes and movement. But most of all, I liked the music. The film shown had a soundtrack by “The Alloy Orchestra”, I have since found another by “The Cinematic Orchestra” which I own. And recently found another by the group “Biosphere”, it’s the second disk on their “Substrata V.2” album. This one is described as ambient and all I can find is a reference at www.amazon.com to the CD. I had never heard of this film before seeing it. It’s mix of day-glow colours and computer animations form a wonderful stylistic whole. One scene that remains in my memory is when Amelie is skimming stones. The camera starts behind her, arcs over and after almost 180 degrees ends in front of her. The camera movement is similar to Peter Jackson’s films, both often have the viewpoint up high, with the camera sweeping down to the subject in detail. Best of all is it’s witty and often dark humour. I didn’t think I would enjoy a film where I had to _read_ all the dialogue. This one goes on my list of “Best Films Ever”. Perfectly formed. I had seen this film when it was first released and later when it was screened on TV. This is the film where you can see Peter Jackson for the first time as a world class director. He manages to keep the pace of the film going at the right speed, varying where necessary and reaching a slow build-up of tension towards the end. This despite knowing what the end will be from the very beginning. His mastery of the medium displayed in this film I’m sure is what gave New Line the confidence to spend 200-300 million and 8 years on the biggest film trilogy of all time. It would be a mistake to make direct comparisons to the other Jackson films. I have read a biography of Peter Jackson and it is clear that his partner Fran Walsh was a big influence in Peter making this film and in it’s execution. I think this is better than his later film “The Frighteners”. Grey, bleak, dull and boring sum up this movie for me. I can’t believe this could be enjoyed by anyone except for the directors friends and family (including his parents). This film starts off slowly and gradually progresses to something even slower and duller. I was not impressed, I couldn’t even keep awake and missed 10-20 minutes near the end due to falling asleep. Did anything happen ? I’m sure that one of the first things they teach in film school is…… hold the camera steady to get a good shot. Avoid sudden movements, quick panning and excessive zooming. In the first five minutes of this film, all the above “rules” were broken. There is a photo in the biography of Peter Jackson, it shows him with a custom made rig to hold the camera steady. Peter went to a lot of trouble to get a steady camera, something Lars von Trier hasn’t bothered with in this film. At first I thought it was some sort of cheap introduction, I can understand using a hand-held camera to enhance movement and intensity. Jackson does this at the end of “Heavenly Creatures” and it works. In this film it doesn’t, if this is “experimental” then the experiment failed. If it’s part of the “style” then it completely undermines the telling of the story. And what is worse is that after 20 minutes I was starting to get a headache. I actually like Bjork’s music (I have most of her albums), but as an actor she is not very engaging. There were no characters I could relate to and story of minimal interest. I liked the musical numbers (here the cameras were nailed down !) as they added a lightness and diversion to an otherwise below average movie. I hope that next time, the director employs a better camera operator. I saw Casablanca for the first time on TV several years ago. So I was a bit surprised to find the film in black and white. I presume this is one of the films given a dash of colour at a later date. When I first saw the film, I thought it was about a “femme fatale” who manipulates men to her own advantage. Seeing the film again my opinion is unchanged. Ingrid Bergman is, as usual, stunningly beautiful and succeeds in her escape mission; have you ever seen a beautiful woman ask a favour of a man and not get one ? She does manage to string two seemingly intelligent men along for most of the film, putting on the charm when necessary. I may also be that I just can’t relate to Bogart as the “Hero”. He doesn’t look or act like one, he looks more suited to a Hollywood gangster movie (and as the bad guy). The best character was the French policeman. There is no doubt that the film succeeds in atmospherics and style. I do find it amusing that critics think the film makes a lot of references to other cultural references like Huck Finn, Washington etc and see it as propaganda. I think the general public would not see anything beyond the story. Or perhaps it’s just that I am not American. Still, a good story and enjoyable. Even if it just perpetuates the myth that the Pretty Women always get what they want. The musical numbers have a great style and panache, mixing conventional and experimental film making techniques. The remaining story was a bit of a cliche of goof-ball comedies of the period. It did have wit and a dry humour that kept the story going. But ultimately it’s the musical numbers (especially those pianos) that remain as memories of the film. I can see why this film is appreciated by those in the film industry. It sets a lot of standards for others to follow. I don’t know what all the fuss is about “Rosebud”, it’s clear to me that the sled represents the memories of Kane as a child, of a simpler and innocent time he is trying to recapture. A good and intriguing film that keeps you interested until the end (and isn’t that what it’s all about?). After a considerable amount of publicity, I saw this film in the theatre when it first came out. Michael Moore is unashamedly the centrepiece of the movie. This is what gives all the interviews and stunts their cohesion and focuses the film. It would be a mistake to see this as Moore’s ego in flight. He has a self-depreciating sense of humour that may be more obvious in his TV show. I think Moore understands the medium as well (if not better) than his critics and deliberately puts himself forwards as Satan’s little helper, prodding and needling people into saying (and doing) things they would not do if he was located behind the camera. Ultimately is success as a great social commentary on America, even it it reaches no conclusion. So, overall I enjoyed the course; 8 out of 10 (better than usual) evenings I enjoyed. And there were only three films I had seen before. 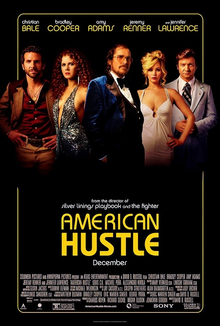 American Hustle is a 2013 American black comedy crime film directed by David O. Russell. 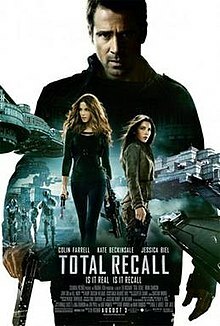 It stars Christian Bale and Amy Adams as two con artists who are forced by an FBI agent (Bradley Cooper) to set up an elaborate sting operation on corrupt politicians, including the mayor of Camden, New Jersey (Jeremy Renner). Jennifer Lawrence plays the unpredictable wife of Bale’s character. Matilda is a sweet and smart six year old with the worst of parents. Dany DeVito and Rhea Perlman ham it up to the max as her parents and are clearly having fun. Danny DeVito directs, and successfully keeps Raol Dahl’s dark humour. Children get tortured, thrown and abused in way only Dahl can do. Mara Elizabeth Wilson, (Matilda) now 28 has been in ‘Gilmore Girls’. Embeth Davidtz, who plays Matilda’s teacher was in Mad Men (2009-2012). Pam Ferris plays the Agatha Trunchbull, the tyrannical principal. She starred on television as Ma Larkin in The Darling Buds of May and Aunt Marge in ‘Harry Potter and the Prisoner of Azkaban’. Here, in the order I saw them are my films of the year. Since Aliens 2 I have waited for the next James Cameron film. involvement at the end. As for the ending, a real let down. However if it is re-released in it’s uncut form I will see it again. For me, this film shows Cameron as currently the best director at the suspense-action genre. Best comedy (American). Even if it is directed by a pom (Julien Temple I think). the English class system being ripped into. Best drama. A success in that it doesn’t give a rose-coloured end. Best war film. Almost believable, suspense film. more to make than our national deficit. Great cardboard cut-out characters fighting against all odds. aircraft. The end of Robocop has the best stop-motion animation work done since Linda Hamilton survived the metal monster in Terminator. If I was pressed for a film of the year it would be this one. 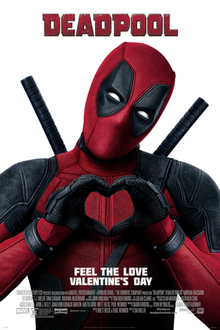 Much better than the over-rated Batman, the cinematography and design of this film is flawless. This film is a statement of the art of the film maker. had already guessed the end. film I have ever seen. Very self indulgent, the characters appear to come out of a psychology text.